I always feel like I’m missing something when it comes to popular open world games. Seeing people spend hundreds of hours in games like GTAV or Skyrim occasionally give me pangs of jealousy. It seems like there’s some really cool stuff to do in advanced stages, but neither game lasted more than a few hours for me. The story lines just didn’t capture my imagination, so there was never the interest to push on for further exploration. That isn’t to say I haven’t ever enjoyed an open world game - I loved Sleeping Dogs, which is basically GTA in Hong Kong and has all the open world requisites; NPC friends and enemies to build relationships with, shop and markets to buy swag from, bustling sidewalks and traffic jams, karaoke bars, cockfighting, street races - and managed a whole 20 hours to complete the game, 5 of which might have been spent on side missions and a little exploring. I loved the game for it’s story and setting, and while it’s appreciated that the entirety of Hong Kong is out there for me to explore, I don’t think I would have felt much less for the game had it been presented in a more linear fashion. Time for a #hottake: If a game has a narrative, then the game is a medium for telling that story; anything added beyond that is superfluous. If I don’t enjoy a game’s story line, it feels like the point of the game is lost. Obviously this isn’t a hard and fast truth, but it’s certainly a case of the exceptions prove the rule. In more ways than one, game developers sell themselves short when they create these massive worlds but force players to view it through their lens. Might there be an opportunity to explore an option for players to nix the narrative, releasing them straight into the world? Otherwise you risk forcing players to slog through some story they might not enjoy to get to the fun stuff - or worse, players stop playing your game because of the story (my case much of the time). So that sums up my tumultuous history with open world games, and in spite of it, TWO have dominated my free time over the last month. To be fair, they sidestep the “story” problem altogether. Steep is an Ubisoft title that was released in early December. In it, you’re an adrenaline junkie who is released into the snowy Alps to do…... whatever you want, so long as it uses skis, or a snowboard, or a wingsuit, or a paraglider. 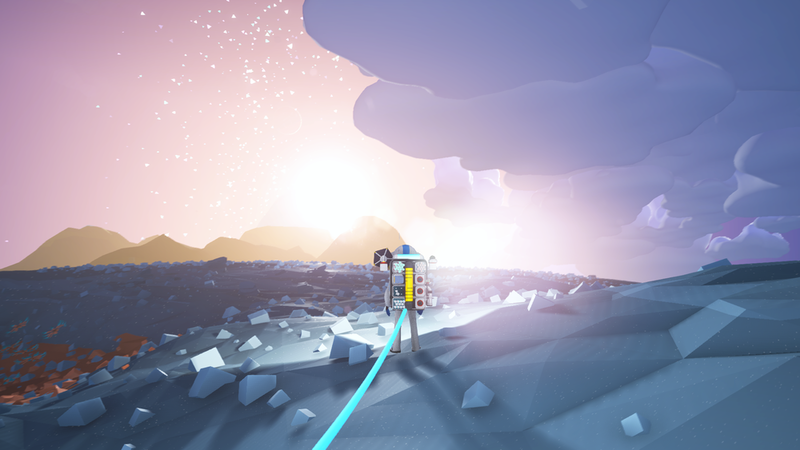 Astroneer is an indie title that was released in December and is still in early access, but shows great polish and promise in it’s early stages having only been announced last March. In it, you’re an astronaut dropped onto an undeveloped planet with just your landing pod and a tool that allows you to shape the environment. That’s kind of it. It’s up to you to explore the planet(s), mine resources, craft, and survive - not necessarily in that order. The games do nudge you in certain directions, but there is no penalty for ignoring them and going your own way. In Steep, you’re given a narrator buddy who will pat you on the back when you complete events, and prompt you along the way when new points of interest or new events open up, but that’s it. He can be a bit annoying, but at least he isn’t pushy. Want to find the biggest jump in the Alps? Or jump off the highest cliff? Or find a new snow park? Just ignore the dude and ride whatever direction tickles your fancy. 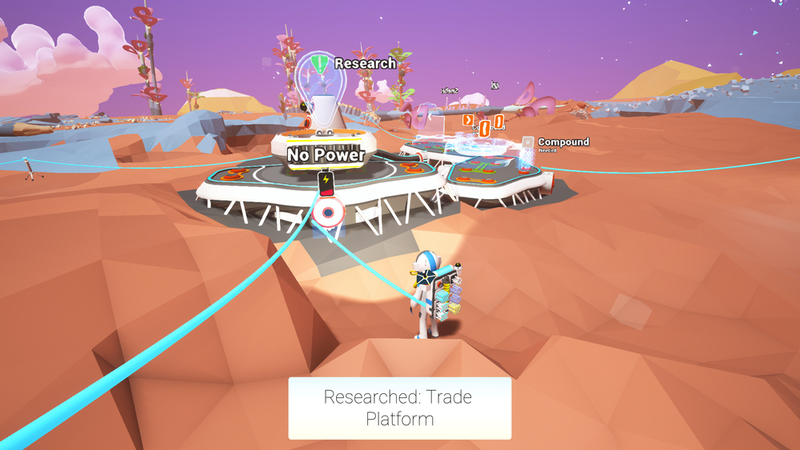 Astroneer starts you off in a pretty hospitable location and is kind enough to highlight nearby resources you can mine, but that’s it - no more nudges. The rest is for you to figure out. Want to build a new structure or tool, but the local resources aren’t the right materials? Get to findin’ ‘em. Maybe they’re in the mountain over yonder, or maybe they’re in the cave you found nearby; only way to find out is to explore. 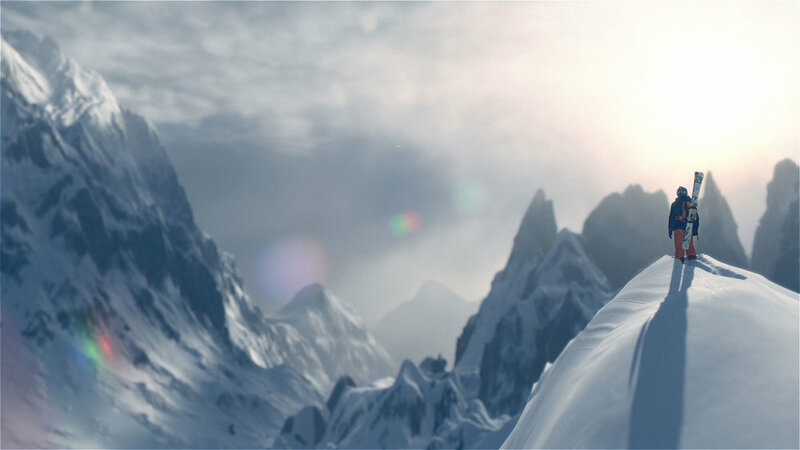 In the case of Steep, it isn’t a case of resources (being Ubisoft and all), but maybe one of focus; the experience in Steep is highly polished - as you’d expect from a AAA - but the scope they assigned themselves of recreating an Apls-inspired mountain range to be shared online by thousands of players is no simple task. Focusing on getting the environment and mechanics spot on was the right move to make, and while fitting in a story wouldn’t have been outside the realm of their capabilities, I don’t think it would have added much to the game. Instead, you’re given a focused experience that recreates the feeling of being in the mountains amongst the snow. Graphics are on point, feeling more than current gen in 1080p (on PC). The mountains are a sight to behold and feel epic from a distance or up close. Lighting changes with the time of day from bright white days, cold dim nights, to dramatic sunsets and sunrises casting shadows and flares everywhere. Each of the game types control beautifully, leaving you feeling confident carving down slopes and doing tricks on skis or a snowboard, while flying has two totally different styles between the high speed wingsuit careening down the mountain, and slow coasting around mountainsides with the paraglider. Physics are certainly not true to life, but I don’t think the game would be all that fun if it were - they found a great balance between arcade and simulation. So are these the hundred-hour games I’ve been pining for? It’s hard to say right now. I think expecting dozens of hours is fair from both titles at the least. Steep is a 20-40+ hour game if you’re just looking to find all the drop zones and compete in all the events. Past that, I could see myself cruising around in every few days or weeks down the line; it is possible that I explore all of the mountains and get my fill and never feel a need to return. The game gives the player great creative freedom on the snowy canvas they’ve provided, but that canvas is static and could outlive it’s intrigue. I still feel like I’m just scratching the surface in Astroneer after 10 hours or so, and the fact that this is still an early access title makes it hard to really gauge the longevity the game has. I haven’t explored some of the more advanced and difficult planets yet, but from what I’ve seen, that difficulty is tied to lack of resources and a slightly harsher landscape with jagged peaks as opposed to the relatively lush valleys on your starter planet. I have had a chance to craft and play with almost all of the tools and capsules available, but it’s hard to say if more will be created further on or not, and how that number may or may not affect exploration. In all, I’d say there’s a pretty good 50 hours based on current content which is promising, but I think the next 50 hours would be a tougher stretch for the devs to earn from players without some kind of dramatic shift in advanced gameplay. Finding these games has brought a nice change of pace and a different experience than my past few months (maybe years). I’m so used to linear titles with a clear end of objective anymore, so it’s nice to find something that I can enjoy mindlessly grinding away on and explore the world at my pace, choosing to revisit tasks or areas as often as I like. They couldn’t be more different as games, but they fill a similar niche for me, and may do the same for you.